With each year, prayers and candles are offered to the over 100,000 civilians who were killed in these twin bombings and for those Hibakusha who are still suffering. Each year we hear a survivors account of what it was like to see so many people dead and dying in graphic detail. 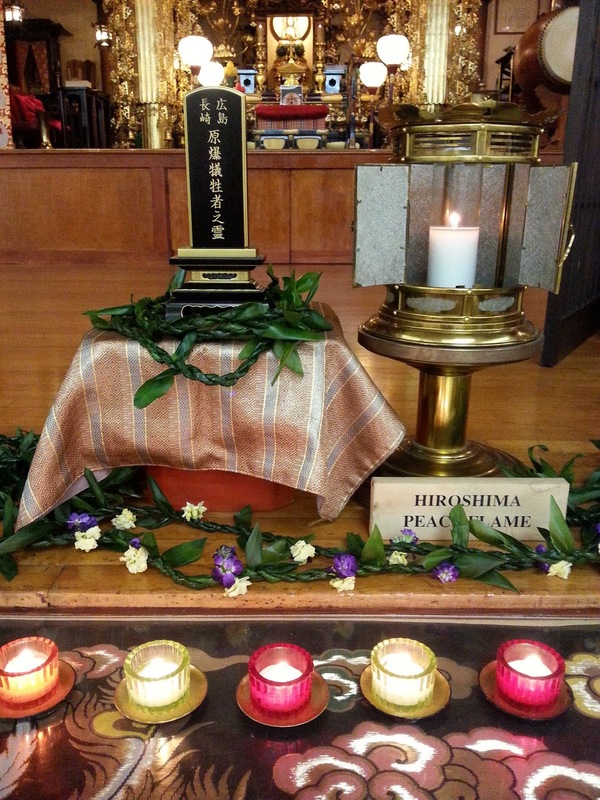 Such accounts are important to understand what took place there for as Mr. Miho had reminded us that there are many Hibakusha left who still can not or will not speak of the horrors they experienced 70 years ago. In this years closing speech of appreciation, Mr. Sarashina took us by surprise when he altered his planned speech and mentioned our little girl Mia who could be seen running around the Temple. He had over heard how her birth defects and developmental delays are linked to my father's exposure to Agent Orange in Vietnam. In a heartfelt moment, Mr Sarashina had connected the suffering of our family to that of his own family to illustrate the negative lasting effects of war that continue on long after the last bomb had dropped. We've always been asked by Japanese people what was our connection. For the last six years it had been to pray for the souls lost but since learning of our own war legacy, we've come to understand the legacy of our war had deeply connected us to their war. We are all victims of events that happened beyond our control and at the same time we are all advocates for peace. We wish Mr. Sarashina and the rest of the surviving Hibakusha and their families peace. 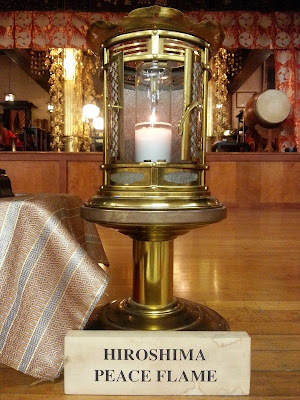 Welcome to my American Mishima Blog! 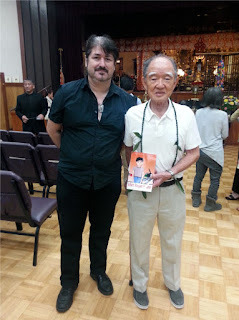 Like American Mishima on Facebook! 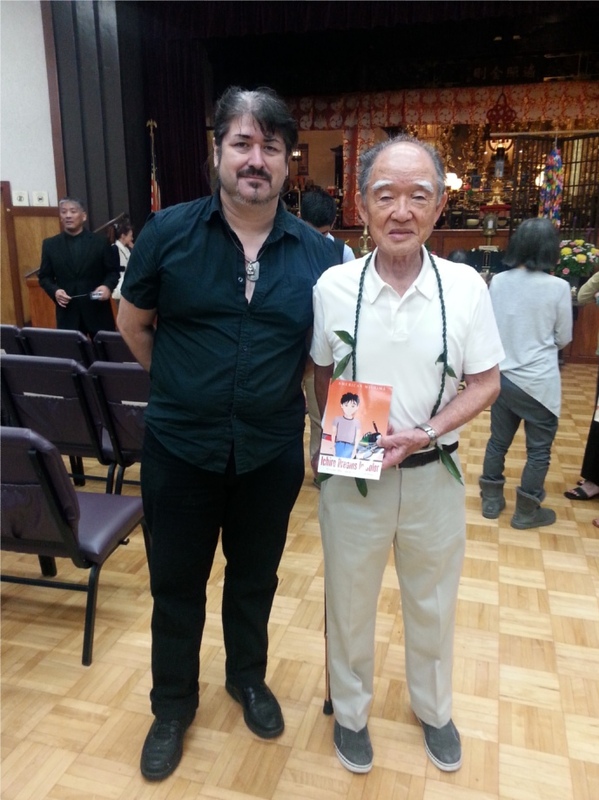 American Mishima New Book Release! Oda Nobunaga-The warlord who changed Japan! Got a little Miss Orin in you?